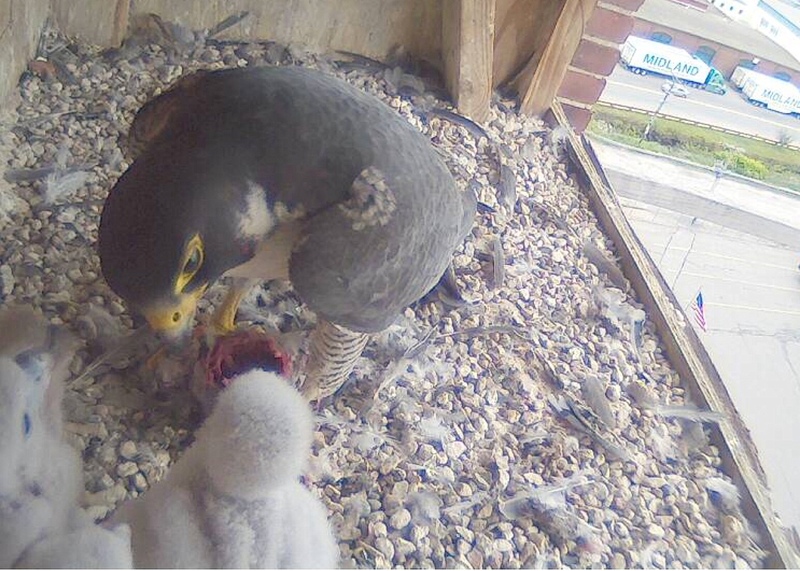 Falcon Cam provides terrific views! As the peregrine falcon chicks approach two weeks of age, the chicks are beginning to sit upright more often, but still lean on each other, or against the nest box much of the time. The very beginnings of wing feather development are also seen around this time!